Michael (Max) Flood Blaney was born in 65 Bridge Street, Newry on 14 January 1910. His father Charles, a civil engineer, who was Newry Town Surveyor from 1902 to 1959, was born in Donegal. 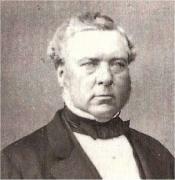 His mother, Alice Flood was from an old established Newry family. Max studied at UCD, and like his father, was a civil engineer. Three dates in 1940 were cited in the award to Acting Captain Blaney; 18 September, 20 October and 13 December. An unexploded bomb was located in London early on 18 September in the middle of Manor Way. Blaney removed the bomb. On 20 October, another unexploded bomb fell in Park Avenue, East Ham. Despite a pair of deadly tinge fuses fitted to this bomb, Blaney neutralized it, working alone as he always insisted on doing. As 1940 neared its end, German bombs were becoming more advanced, with combinations of fuses. This third UXB had fallen on Romford Road, Manor Park. It was uncovered about twelve feet below ground level. It was fitted with a delayed-action clockwork fuse, whose express purpose was to delay the explosion until .the bomb was moved or tapped. Captain Blaney reached Romford Road soon after the bomb was exposed. Despite the non-arrival of vital equipment he decided to proceed using other devices available. The bomb had to be hoisted out before the fuse could be removed. When the hoisting sling was passed round the bomb, they found that the device designed to detect the clock mechanism was obstructing the lifting equipment and had to be temporarily removed. As Blaney stepped forward to begin his work on it, the bomb exploded, killing him and another officer, a staff sergeant, a lance corporal, five Sappers, and a superintendent of police. 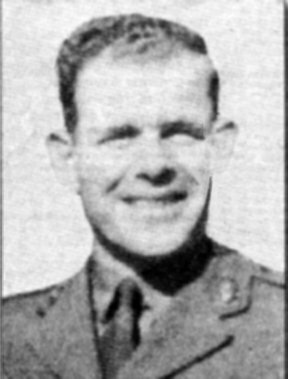 Blaney’s award of the George Cross was announced in the London Gazette on 14 April 1941. Max Blaney was buried in the Flood grave in St Mary’s Church Newry on Christmas Day 1940. His George Cross is in Malta in his nephew’s keeping.